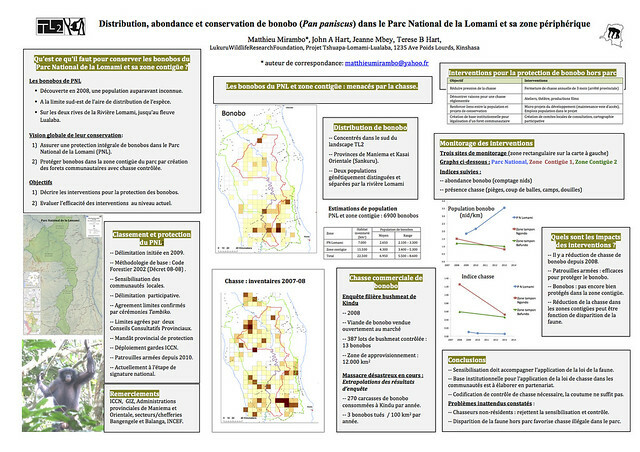 John, our TL2 Scientific Director, worked with our team leaders, Matthieu Mirambo and Pablo Ayali, to prepare two posters for the First International Conference on Biodiversity in the Congo Basin, June 6-10, 2014 at the University of Kisangani (Centre de Surveillance de la Biodiversité). These posters are also archived under the tab, “Publications”. 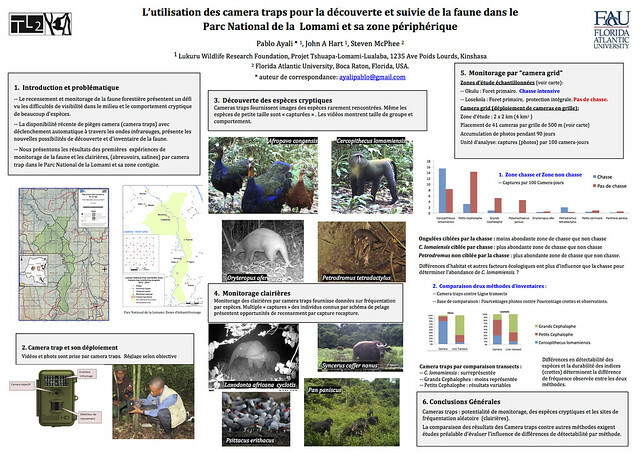 I will continue to post the “Ituri Story” after a couple updates from TL2 and its teams. This entry was written by Terese Hart, posted on 2014-06-22 at 4:35 am, filed under About the project. Bookmark the permalink. Follow any comments here with the RSS feed for this post. Post a comment or leave a trackback: Trackback URL.